This British Sexton GPO Gun Positioning Officer Artillery Command Vehicle is in private ownership and is under restoration. I hope the owners do not try to convert it to a Sexton with a gun. This is much more rare. It housed all the radio systems needed by the commanding artillery officer to talk with troops and observers on the front line and be able to relay the fire order co-ordinates to the other Sextons in its group. It was fitted with an extra No. 19 Wireless was added along with map tables. 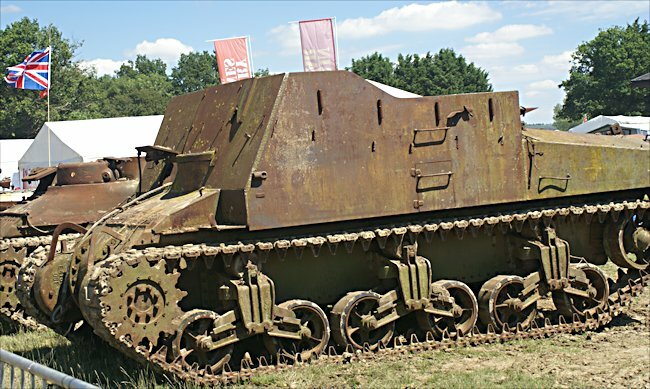 Hopefully when the restoration is finished you will be able to see it in action being demonstrated at many of the military vehicle events during the summer in Britain. When I saw this Sexton on sale I so desperately wanted to buy it but I do not have the engineering skills to bring it back to life. 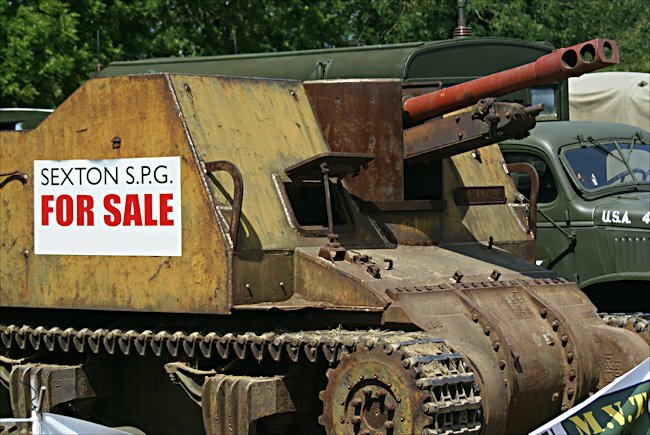 Hopefully it went to a new owner who had the money and the ability to make it road worthy again so others can see it in action at future military vehicle shows at the weekends in Britain during the Summer. The British Army liked the American M7 priest with its 105 mm howitzer. The problem was the ammunition supply for this gun. It used American shells. The British wanted their own version of this tracked artillery gun, but fitted with a standard British 25 pounder gun that fired standard British shells. They asked the Canadian government to build such a weapon, and the result was the Sexton. 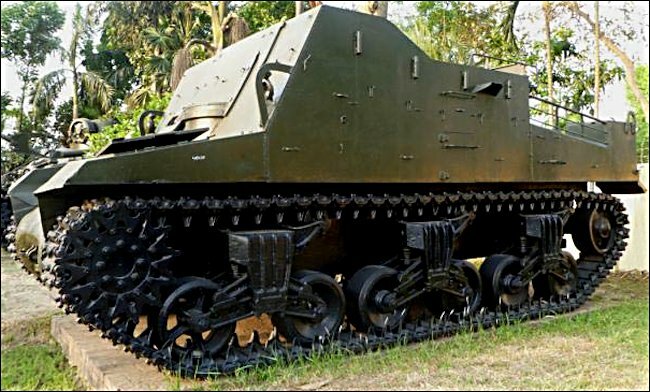 The Sexton I version used the Ram tank chassis. Later versions used the Sherman tank chassis, which had better performance. This was called the Sexton II. The British Army never intended to deploy sexton self-propelled guns in direct line of sight fire situations. The idea was that they would follow the main tanks into battle and at a distance supply supporting artillery fire. They only had thin frontal armour and would not survive long in a frontline enemy tank engagement situation. The Sexton II SPGs were deployed in batteries not on their own. Command vehicles like this Sexton GPO, would control the fire orders. They would receive information by radio from Scouts, forward artillery observers and tank commanders, of enemy positions. As a result of further communications about where the shells landed, the Gunnery commander would change the coordinates given to all these units to make the next round of shells land on target. Where can I find other preserved Sexton GPO?